Dogs and their owners hit the waves in July for the Ohana Surf and Skate dog surfing competition. 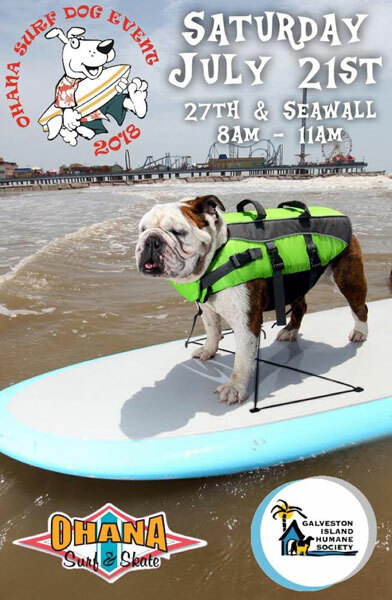 The event benefits the Galveston Island Humane Society. Prizes are awarded based on surfing ability. For complete details, visit Ohana Surf & Skate.